L.I.P.S.T.I.C.K will be joining Three Sheets to The Wind at The National for a special halloween performance. L.I.P.S.T.I.C.K RVA is gearing up for their third stage production at Soju Nightclub & Lounge. 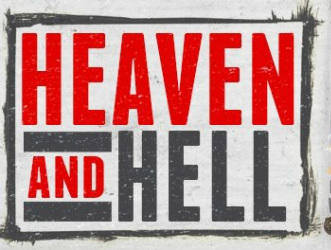 Join the ladies for a seductive night of dinner, drinks & cabaret style musical depictions of the infamous cardinal sins. Se7en will use song & dance to weave together haunting tales of heartache, addiction and jealousy while exploring the loss of total self-control. Come witness the wickedness. The ladies will be performing a disco-era inspired number before the dance party commences. We'll get you in the mood to dance all night. 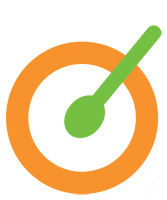 L.I.P.S.T.I.C.K will be performing for a 2nd year at Broad Appetit. Check them out between the bands at the Metro Music Soundstage. Lipstick performed during the hair show at Return of the Curls. 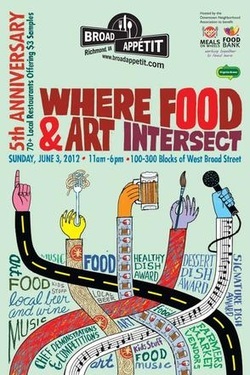 Voted one of the top 3 food festivals in Richmond! Lipstick RVA will be performing all day in front of the Metro Music Sound Stage. L.I.P.S.T.I.C.K made an appearance at the Meet Bobalicious event at Chesterfield Town Center. We also got a chance to perform live with Embassy again!! Bobalicous is delicious!! See pics in picture gallery!! L.I.P.S.T.I.C.K performed with Richmond's Embassy at an artist showcase in Baltimore Maryland. 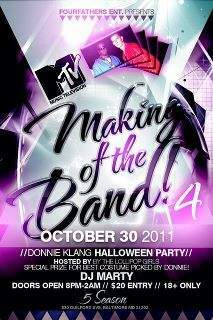 Featured guest of the evening was Donnie J. Klang of MTV's Making the Band 4. 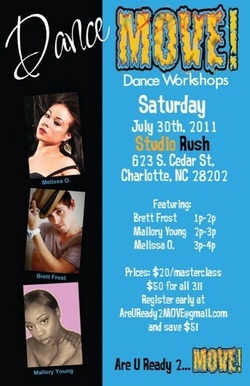 Melissa O. will be teaching an R&B funk routine at MOVE! 's next workshop that's stopping at Studio Rush in Charlotte, N.C. Come celebrate National Dance Day with the choreographers featured at this workshop!! 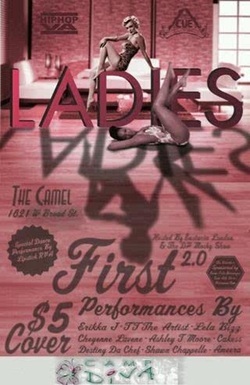 The Rebirth: Ladies First is an all female hip-hop concert with proceeds going towards a battered women's shelter. L.I.P.S.T.I.C.K is proud to be the only dance ensemble to take part in this event (even though Lois will be singing the track for us, LIVE!!!) Many thanks to those organizing the event for allowing us a stage to perform. 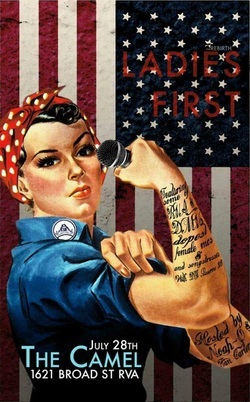 L.I.P.S.T.I.C.K produced event highlighting women who were pioneers in the entertainment industry. Some of the women featured included: Paula Abdul, Billie Holiday, Janet Jackson, Aretha Franklin, Pat Benatar, TLC, Whitney Houston, Mariah Carey, etc. L.I.P.S.T.I.C.K choreographer, Melissa O will be teaching an R&B Funk routine at the 2010 MOVE! 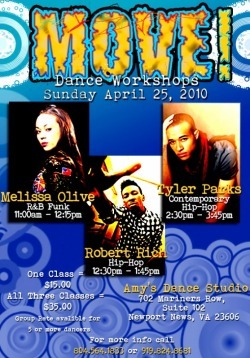 Dance Workshop....April 25, 2010. View the flyer for details. 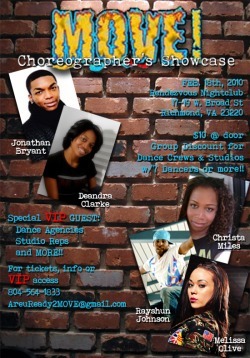 Rob Rich and Tyler Parks are also featured choreographers at this event. 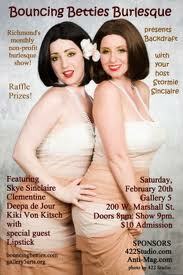 L.I.P.S.T.I.C.K will be performing at Gallery 5. We will be performing a routine to a medley of Beyonce songs including "Sweet Dreams", "Videophone", & "Ego". We will also be performing our version of "The Cell Block Tango" from the popular Broadway musical, "CHICAGO"
L.I.P.S.T.I.C.K's first independent production. 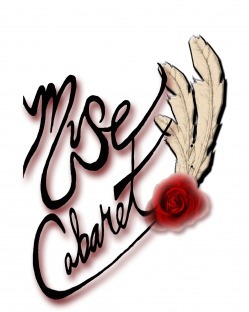 MUSE was a Cabaret style showcase for a wide array of artists and entertainers. 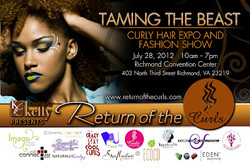 Richmond talent got the chance to network, display merchandise/art, and entertain their peers.